M. Carey Hendrix provides the best of massage therapy to those wishing to improve their health status. He passed the National Certification Board for Therapeutic Massage and Bodywork examination and received his North Carolina License in February 2004. This was after completing a 1032 hour massage therapy program in Wilmington, North Carolina at Miller-Motte College. See the Credentials page for the full list. 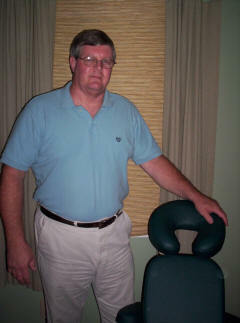 Mr. Hendrix is trained in Swedish, therapeutic, sports and deep tissue massage and trigger point therapy. 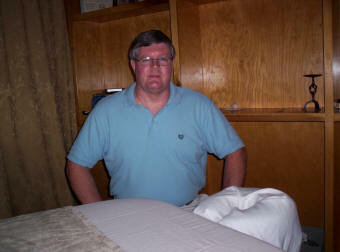 He is also Certified in Reflexology and Cancer Massage, and has 1st and 2nd Attunements in Reiki. In addition, he has completed the Healing Touch Level I continuing education class. More on Reflexology . . .